I had a migraine from Saturday to Saturday, probably because of my low calorie intake and restricted food choices. On Friday I gave up the good fight and ate a carb. I thought I would feel better right away, but it wasn’t until Sunday that the fog cleared. I’m not 100% yet, and now I’m feeling anxious and guilty, but I’ll get there. 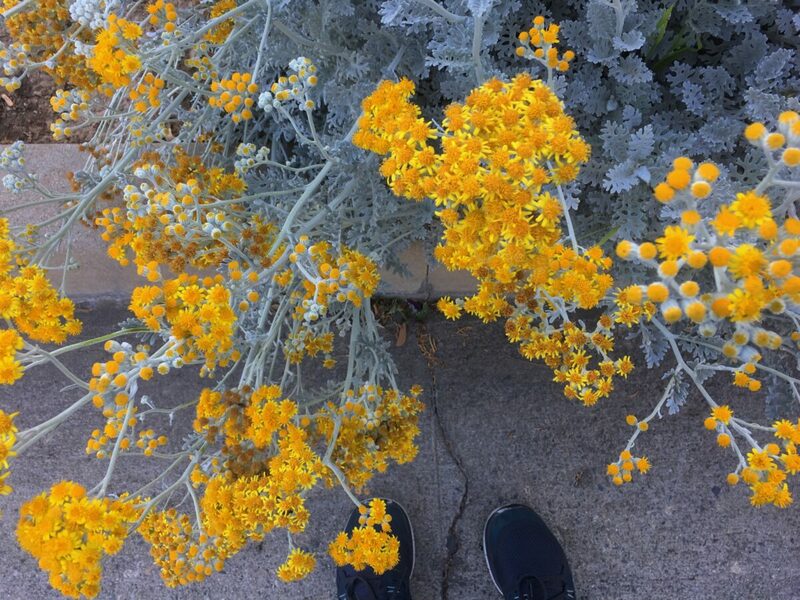 I miss my daily walks, so it’s important to me that I return to my old self. That’s not Buttercup. I can explain. He shrugged his shoulders and declined the call. It started ringing again not 10 seconds later. This time I answered. 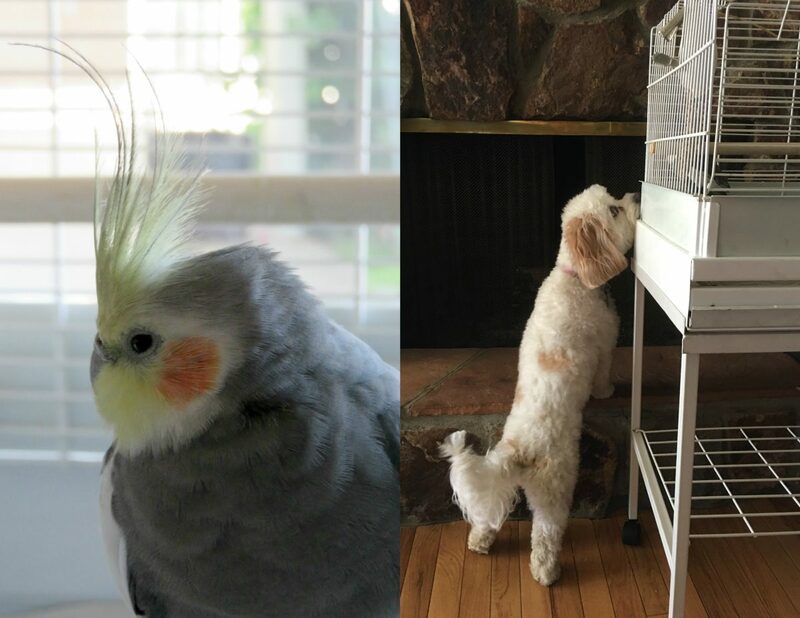 Larissa had found a cockatiel in her yard and was wondering what she should do with it (hint-hint). I looked at the Mister and thought about Morris and then Snickers, and how it drives him crazy when I bring home strange animals that could be rife with disease. “Bring it over.” I looked at the Mister and smiled my best Lucy Ricardo smile. The Mister made sure he wasn’t anywhere around when Larissa came over with the bird. He wasn’t helping in silent protest. That, and we think our dryer caught on fire earlier in the day when we weren’t home so he was fixing it via youtube (long story, not nearly as interesting as the bird–and he fixed the dyer). 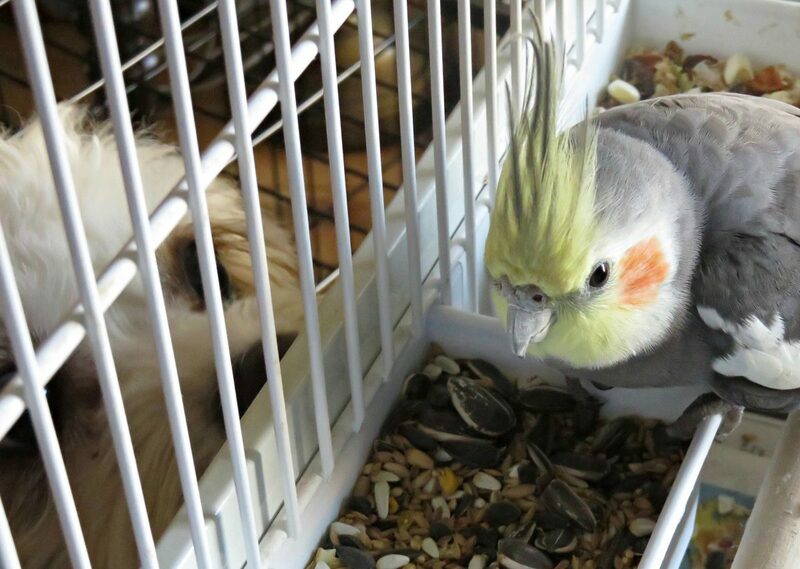 He disappeared for a while, but eventually came into the room and made kissy noises at the bird he vowed to hate on sight before saying in a loud, clear voice that, the “poor thing” was “traumatized and needed peace and quiet for at least 48 hours.” Later, he asked about a heating pad for the cage. A real tough guy, that Mister. We named the bird Foxtail because Larissa found her eating her way out of a clump of Foxtail, and because all our pets are named after plants. Foxtail is likely a female. I’ll find out more tomorrow when I take her to the bird farm to get checked out. She’s fat, partially clipped, and well cared for. We had high winds the other day, so we suspect she got swept up while her owners were cleaning out her cage. Because she’s so well kept, I’ve been hunting high and low for her family. I’ve tried Craigslist, lost pets websites, Facebook, vets, and neighbors. Tomorrow I’ll try the lost and found at the bird farm. I’m upset imaging how much her family must be missing her. Also, birds become very attached to their humans. Foxtail must be missing her family terribly, too. Of course the boys want to keep her. I don’t think that’s a good idea. One, I don’t want to have two cockatiel cages. Two, Maggie won’t leave Foxtail alone. She’s always at her cage, sniffing, barking, and being a general nuisance (see above pictures). 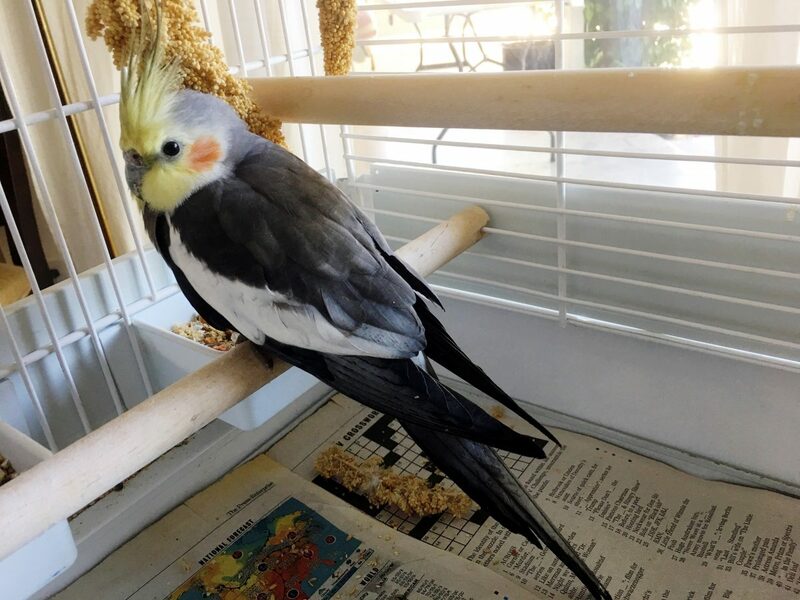 Luckily, I think I know someone who has owned and loved cockatiels in the past who would take Foxtail if her family doesn’t turn up. I’m also considering making her the library mascot. Whatever happens, Foxtail will end up in a good home. We were driving home from church the other day and the subject of conversation was, of course, Foxtail. “Mom is like some sort of Dr. Dolittle,” Mikey said. I reminded them that Foxtail will be going back to her family or a new home soon, so it wouldn’t be wise to get too attached. Those pictures of Maggie looking at /sniffing in the cage are so cute. Barking probably not as cute. This is so very late, but I was wondering if your migraine might be related to your diet being low in FATS. The brain basically operates on fats, which is one reason for “baby brain”. A woman’s body can be depleted of fats and essential nutrients during and post pregnancy, causing difficulty with cognition and possibly also migraines. Thus, you reintroduced carbs and didn’t immediately get better, but if you quit the diet and returned to normal eating (including fats) maybe that helped your brain out. How cute is your dog! 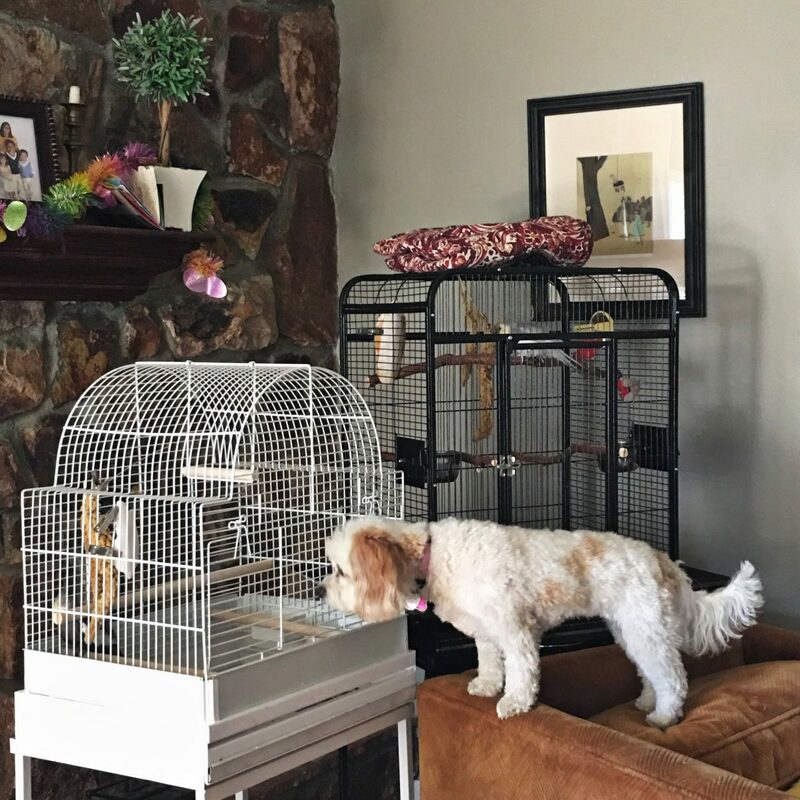 She would like to play with the bird so badly! :3 Sooo adorable!